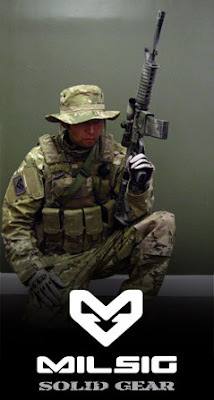 Milsig has announced the launch the official start of its gear line, entitled Milsig Solid Gear (MSG). For the initial release (which will be at Shot Show 2010, along with the A-TACS launch), Milsig will be releasing pouches that will perfectly fit Milsig mags (held upside down), 2 vests, and an HPA bottle pouch. Patterns/colours that will be released include: Ranger Green, black, and Multicam. It has been stated by Milsig that CADPAT will not be used. 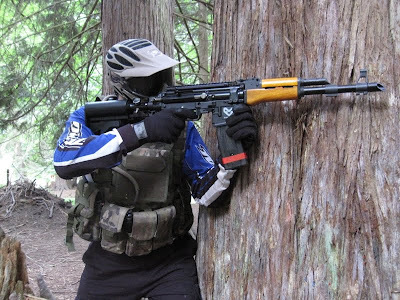 Milsig will also be releasing AK accessories in early 2010. These accessories are relics of Tacamo, and will only be released in a limited fashion, as Milsig has a very small number of acquired products to work with.